From Bell Helicopter to Bombardier to Pratt & Whitney, the world’s leading aerospace companies have long chosen to invest in Québec. 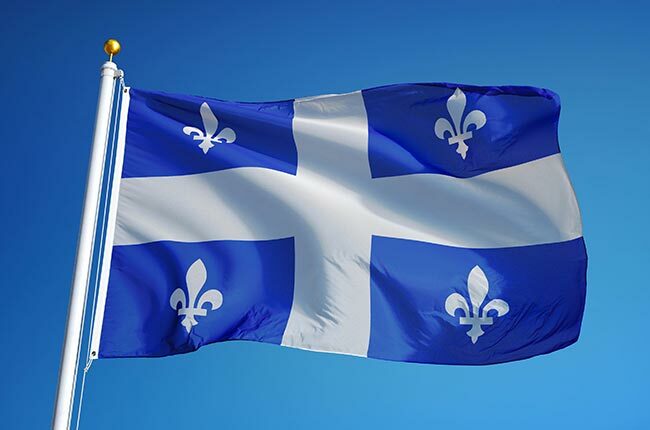 The Quebecois excel at aerospace production thanks to their work ethic, international outlook, and high levels of education. Hot Shot Trucking adds the final ingredient to this recipe for economic success: safe, speedy shipping. 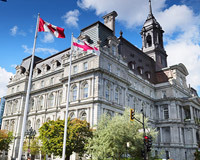 Safe shipping is of the utmost importance to Québec’s aerospace industry. Not only must airplane components arrive undisturbed, lest the planes they are put in develop structural problems, but aerospace manufacturers also need to ship fuel and other volatile chemicals. If the trucks carrying these chemicals are involved in accidents, they can cause serious harm to the roads and other drivers, creating liability and public image issues for manufacturers. Hot Shot Trucking spares no expense to prevent these issues from arising. 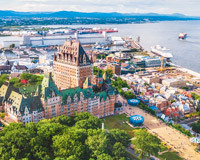 Having long served Canada’s largest province, we have developed a reliable strategy to minimize shipping risks while increasing speed and affordability. Team Driver Trucking - We assign two drivers for each truck that travels across large swaths of Quebec or outside of the province. The drivers can then switch between sleeping and operating the vehicle. They can drive during the night without becoming too fatigued to do their jobs safely. 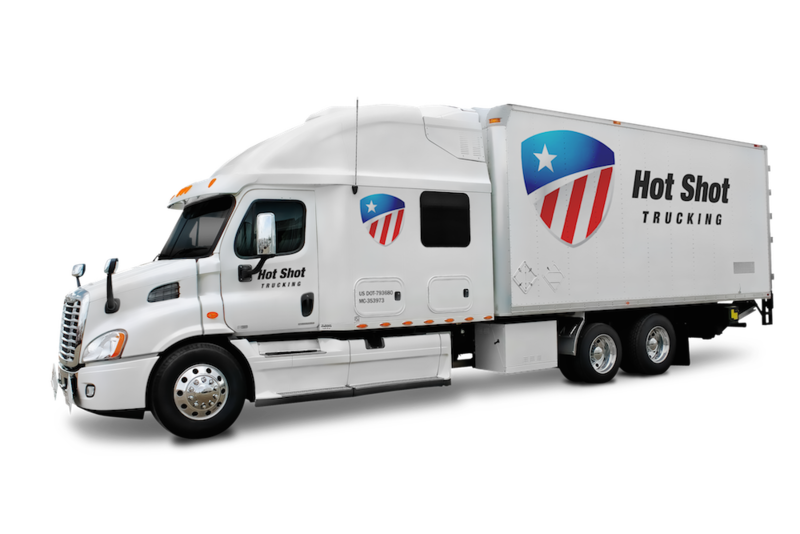 Dedicated Hot Shot Deliveries - Instead of putting multiple clients’ orders into each truck, we assign a separate vehicle to each order. This allows us to install all of the equipment necessary to keep aerospace parts safe. It also speeds up the shipping process, as we will not have to visit other clients before we get to you. Continental Cooperation - In addition to our coverage in Montreal, Hot Shot Trucking has vehicles in Edmonton, Calgary, Toronto, Winnipeg, and Vancouver, as well as cities throughout the United States. This means that no matter where in North America you are shipping from, our vehicles are never far away. We can load your order within two hours of your placing it. Constant Communication - The Hot Shot shipping team is available to speak to our clients at all hours. If you are considering our services, we will give you a free quote online or over the phone. If you’re already a customer, we’re happy to take instructions, answer questions, or update you on the location of your orders. Size Savvy - The Hot Shot service fleet contains over 10,000 vehicles, including sprinter vans, tractor trailers, and standard straight trucks. When you place an order, we will match it to a vehicle with exactly the right amount of payload space. This lets us ship your order in a single truck without leaving excess space that will drive up the price. Technical Tenacity - We constantly inspect and upgrade our Hot Shot trucks, repairing damages and adopting new technology whenever it becomes available. 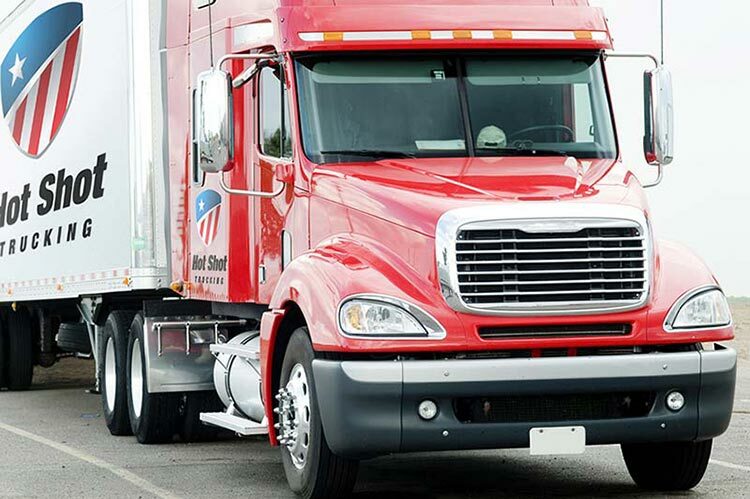 We thus maximize speed, minimize delays, and lower prices through improved fuel efficiency. Hot Shot Trucking is not limited to the aerospace industry, and provides the same level of service to all other businesses in Québec. To learn more about our services or schedule a new shipment, visit our website today.